Online PA Sportsbooks are expected to launch late in 1Q of 2019 as Parx Casino will open their online sportsbook and mobile sports betting app. SugarHouse will be quick to launch their PlaySugarHouse sports betting app as well in Pennsylvania during February or March. 7. Valley Forge FanDuel Sportsbook (Approved by PGCB). Opening March 13th. 8. Presque Isle Downs Sportsbook in Erie (Approved by PGCB). ETA April 2019. Rivers Casino Launches Online Sportsbook & Casino for Fun? Who can apply for a PA sports betting license? Legal online gambling and sports betting are officially in Pennsylvania. Sports betting, DFS, online poker, online casino games and the lottery are all part of a bill that Governor Tom Wolf recently signed, making Pennsylvania the 4th US state to legalize online gambling. The process of legalized sports betting in Pennsylvania has been a bit of an uphill climb. Sports bettors have watched neighboring states like Delaware and New Jersey quickly move on sports betting regulation once the Supreme Court ruled in favor of NJ this past Spring. A heavy tax burden and limiting sports betting skins to one per operator, is not making the process easy for the launch of legal sports wagering in PA.
Let’s look at some of the hurdles that regulators have placed in front of a company who would like to operate in PA. How does a 36 percent tax on gross betting revenue sound? How about a $10 million dollar licensing fee? Lets compare this to some other states with legalized sports betting and online gambling. – West Virginia: Licensing fee of $100K, plus a 10% tax on revenue. – New Jersey: Annual $100K licensing fee + a one time charge of $250K for regulatory costs. Sports betting is subject to an 8.5% tax, with gross revenue from online gambling taxed at 13%. Just to clarify, a company like DraftKings, who recently launched the first mobile sports betting in New Jersey, would have to pay $10 million dollars, plus be taxed at 36%, just to operate in the state. 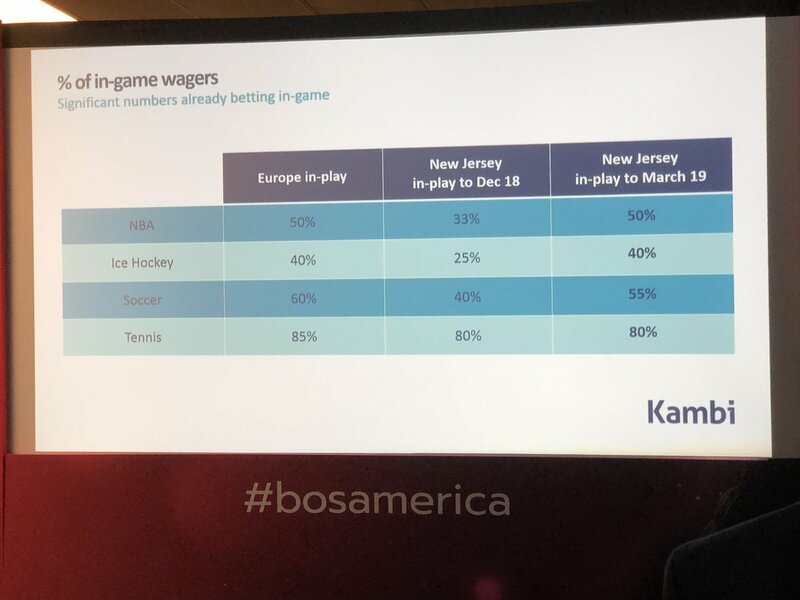 One would assume that PA has created a scenario where sports betting operators may wait for the market to mature before applying for PA sports gambling license. Casino at Penn National Race Course had the privilege of being the first venue to take a legal bet in the state. From here, more venues will be able to take live bets and citizens can expect online options in 2019. The Meadows Racetrack and Casino, North Strabane Twp. With betting becoming legalized, why don’t we look at a comprehensive guide for the state, starting with the timeline of how we got here, shall we? With PASPA being overturned in May of 2018, this obviously allowed for the sports gambling to become legal, but what was the state doing about the issue before that? We begin this tale in 2015, where the roots of legalized sports gambling in the state somewhat began. Rep. Rick Kotik issued a memo about some upcoming legislature saying, In the near future, I plan to introduce legislation that will legalize sports betting in our Pennsylvania licensed casinos. Sports betting is exceptionally popular in our state and it is going unregulated. The intent of this legislation is to provide our casinos with an alternative form of entertainment, while also, regulating a popular market. On October 14 of that year, Kotik introduced his bill to the House. In December of that year, Rep. Rob Matzie led a solution aimed at Congress, urging them to lift the country-wide ban on sports betting. States that already authorize, license and regulate casino gaming are uniquely positioned to oversee sports betting, in all its forms, if they so choose. The time has come for the federal government to allow the state’s to make their own decisions on sports betting. At the start of the New Year, the House Gaming Oversight Committee gave approval. Matzie then filed another bill similar to Kotik’s 2015 bill, but pushed the envelope even more. It had a caveat that included “establishing the rules and procedures for sports wagering.” It also included things like licensing fees and tax rates, which were $5 million and 18 percent, respectively at that time. The state was having some financial struggles, and sports betting was a potential way to help stop the bleeding. Eventually, a final bill with numerous modifications was signed into law by Governor Tom Wolf, legalizing sports betting, pending the federal ban being lifted, which it ultimately was in May 2018. Now that we know the history of how it came to fruition, what other legalities are involved? Nothing is totally decided on besides the fact that there will indeed be online wagering available. Which casinos and sportsbooks is to be determined, though. Rumors continue to swirl around the launch of online sports betting in PA. A recent article on Penn Live quoted a Parx Sportsbook spokesman concerning an April 2019 launch. How much revenue could sports betting generate? Exact figures are obviously not yet known and the exact number of online sportsbooks in PA will have a major impact on revenue projections. There are pros and cons when it comes to the subject of betting in Pennsylvania specifically. PA is located close to other states in the Northeast/Mid-Atlantic region that already offer sports betting or soon will. However, PA is a huge sports state with 2 major cities in Philadelphia and Pittsburgh with rabid fan base support. Oh and that taxation at 36 percent should definitely help government revenue growth numbers. Kambi reports that they are seeing 50 percent of all NBA bets as in- game or live betting with the sportsbooks they work with in the U.S.
. @DKSportsbook is now offering odds on the #Eagles first pick in the 2019 #NFLDraft Thursday night! 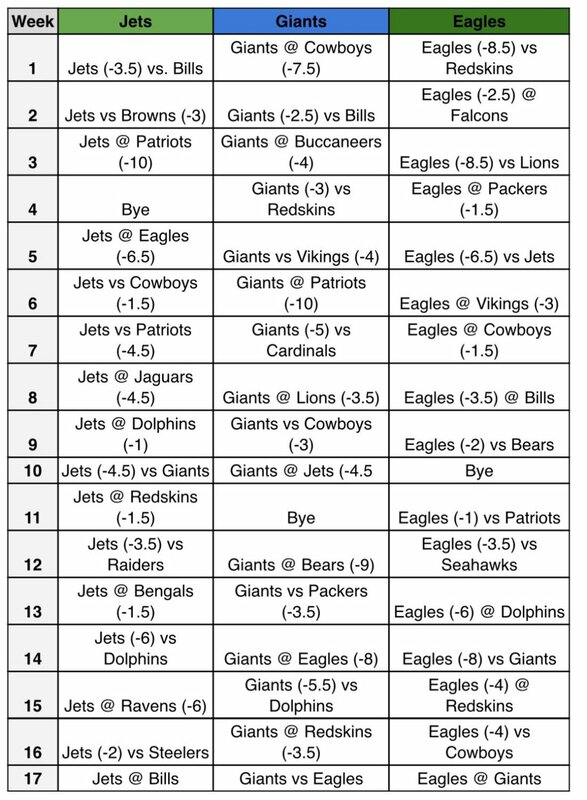 2019 #NFL betting lines for each regular season game in April....sure why not? Gambling addiction is an issue we take very seriously. For immediate help, visit the Council on Compulsive Gambling of NJ website, or call 1-800-Gambler to speak to someone 24/7.